Performance Time: Approximately 60-75 minutes, 60 pgs. COMEDY. This humorous adaptation of the classic fairy tale “The Frog Prince” is easy to stage and features a host of adorable puppets including a frog, a rose, and a turtle. 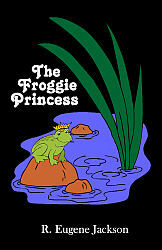 Nervous around girls, Marcus Baloopus, selects a frog to accompany him to his school’s Fire Ant Festival, and by doing so, breaks a magical spell, which transforms the frog back into a beautiful princess and gives Marcus the confidence needed to become the school’s Fire Ant King.